Personal work, education-related projects, and fun endeavours. Illustrated microfiction inspired by Southeast Asia. Geeky Baju designs based on Dragon Age: Inquisition. Southeast Asian garment designs based on books, video games, and films. A visual record of waste. A personal research project coinciding with #inktober2017. Observations of vendors at wet markets. Zine containing an illustrated poem, with text in Malay and English. Say it loud and proud with these posters, available for public use. 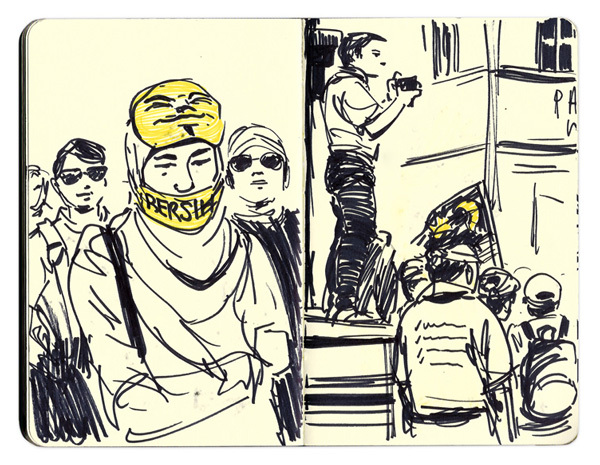 Vignettes from the rally for clean and fair elections in Malaysia. Illustrated typography posters about waste generation and management at the wet market and beyond, produced by young artists. 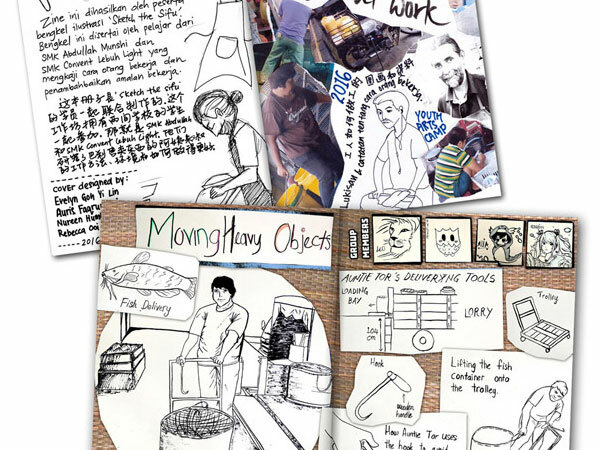 A zine about ergonomics at the wet market, produced by young artists.